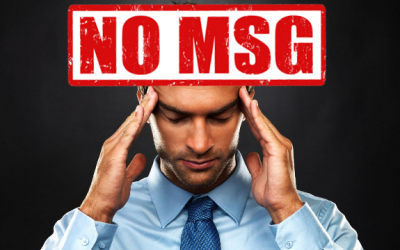 The FDA states that MSG is “generally recognized as safe” (GRAS), though they admit that many people identify themselves as sensitive to MSG. In studies with such individuals given MSG or a placebo, scientists have not been able to consistently trigger reactions. A new study published in the Journal of Headache Pain reveals this just isn’t so. 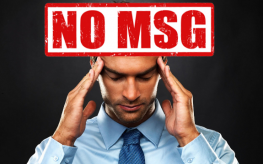 Just a single dose of monosodium glutamate (MSG) caused headaches in healthy subjects that were tested. Sadly, this additive is found in just about every food we purchase, though should be being phased out due to the succeeding health movement. It is used as a ‘flavor enhancer,’ but it certainly isn’t a health enhancer. This latest study conducted its research using double blind, placebo-controls and found that MSG intake caused spontaneous pain, jaw aches, high blood pressure, and other unwanted side effects including nausea, fatigue, stomach ache, tight-jaw (TMJ), dizziness, and chest pressure. So exactly how is this considered GRAS by the FDA? There had to be other studies aside from this one which pointed to MSG dangers. Additionally, while steering clear of MSG is the best way to protect yourself from its damage, recent research indicates ginger may be able to further protect you, even reversing the damage that’s already been done. Aside form the Journal of Headache Pain study MSG has been known to cause diarrhea, mood swings and asthma too. Perhaps the FDA should re-evaluate the manner in which it approves foods meant for public consumption. It certainly seems to miss, or blatantly allow, some big ones, and certainly is falling short of protecting our health. FDA re-evaluate? That’s not going to happen as long as the FDA is a revolving door for Monsanto employees, IE. Micheal Taylor ‘Food Safety Czar’.